How Do I Become a Tech? 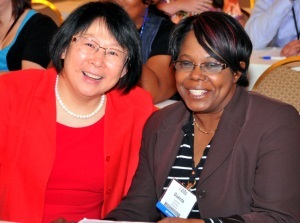 Discounted registration for the Annual Meeting - ASMH's 25th Annual Meeting will take place Friday and Saturday, May 3-4, 2019 at the Baltimore Marriott Waterfront in Baltimore, Maryland. ASMH members receive discounted meeting registration, as well as reduced rates for pre-conference workshops held on Thursday, May 2. Registration opens December 13, 2018. Reduced registration for trainings held through ASMH's Mohs Technician Quality Assurance (MTQA) Training Program - Experienced techs looking to improve their slide preperation techniques are invited to register for this 2-day training at a reduced rate. Don't miss the opportunity to register for the next training which will take place January 24-25, 2019 in Springfield, New Jersey. Registration opens mid-November, 2018.
e-Newsletter with articles related to the field of histotechnology distributed in April, August and December. ASMH Biennial Workforce Survey results - ASMH members are giving the opportunity to participate in ASMH's biennial workforce survey. Results of the survey include salary information and are available exclusively to ASMH members. Access to the ASMH Member Directory - locate and connect with fellow ASMH members across the country. Career listings via the online Mohs Surgery Career Center - find or post open histotech positions. Surgeons, physician assistants, dermatopathologists, practice managers, administrative staff and others can also search openings, post resumes, and connect with employers. Click here for information about eligibility and how to join. © 2019 American Society for Mohs Histotechnology.